god | Creator is universal Kingdom YHWH RA within, not religion. The Kingdom of Heaven, is the most important and powerful creation, place, thought and meditation any human living on Earth can imagine, think, act and move towards within and around. Simply and factually the Kingdom of Heaven is 100% Real. It is as real as the Sky, moon, stars and seasons of this universe no human can regulate or control daily. The Kingdom of Heaven is no mystery, it is HIS creation and Holy Word a place for His abode and those of His children who pray and think of their birth, purpose, mission, eternity within and around. If like me, you spent many minutes, hours and days in your life on Earth where you have wondered, pondered and thought of the Kingdom of Heaven , God, YHWH and eternity within and around. You feel, called, chosen, assigned and purposed as you study, read, wrestle, plead in prayer, meditation and study to get closer, more in love, established and mature in all of the above. What and where is the Kingdom of Heaven? The Kingdom of Heaven is NOT high in the sky somewhere. Do you remember those kindergarten bible stories one would sit with legs crossed, hands on lap, eyes and ears focussed on the teacher? He or she would speak and teach Heaven was somewhere high in the sky or heavens and one day [if you or we were good] God, YHWH and Angels would come and take us all to Heaven. So if the Kingdom of Heaven by biblical WORD and default is within then the Kingdom of God, YHWH is also within. Also, the real mystery is why have most religions & denominations focussed and taught more Heaven is somewhere in the air or sky with a little pink baby in a manger that never seems to age or grow? You may find this harsh or untrue but in-order to understand, grasp and enter into the Kingdom of God, YHWH or Heaven one has to unravel, debunk and separate religious and denominational myths, fables and stories of human invention. Believe me do the research, their are centuries of such disruptions and diversions away from His plain truth and Holy Kingdom Word. Yes indeed, the Kingdom of Heaven is within! It is within because that is the safest place for the Kingdom to dwell. It is also the closest place for Creator YHWH and the Kingdom of God, YHWH to exist. That is why humans are born and pregnated with spirit, soul and senses so they can use them all to communicate, feel and hear of HIS KINGDOM and universe within and around. It may be difficult or hard at first, to ponder or associate the Kingdom of God, YHWH with violence. Yet, throughout the Bible we can widely read from Genesis to Revelation how Moses murdered an Egyptian, Cain killed Abel and David the psalmist not only killed Golliath he killed Uriah. Truly I tell you, among those born of women there has risen no one greater than John the Baptist. Yet even the least in the Kingdom of Heaven is greater than he. 12 From the days of John the Baptist until now, the Kingdom of Heaven has been subject to violence, and the violent lay claim to it. Again, the above is a controversial and difficult scripture to ponder or comprehend, yet not only are their many facts to support the historical centuries and decades of violence, invasion and sinful disruption from Heaven to Earth, but even today the Christian can never be hidden to escape violence for or against him or her on Earth. In fact, the more one transforms into the likeness, character and personality of Creator YHWH, God the more one become’s a target of peculiarity, hatred and violence of world. Have you read the news, where 20 Coptic Christians beheaded in Libya their bodies were discovered in October 2017 and finally returned home in May, 2018. [SOURCE] Then in Israel you have Palestinians who are being killed by fake Israel of 1948 who stole and erased the Hebrew biblical scriptures and name Yisrael as Khazar fake jews of Europe. So violence is always at the gates of the Kingdom of Heaven within and around. Don’t get this WRONG! The 10 Commandments teaches THOU SHAL NOT KILL and that is to be upheld as a Kingdom believer or true Christian. And although that specific scripture is KILL or MURDER it also embodies the use of violence. But what is violence? cruelty, damage, false, injustice, oppressor, unrighteous, violence against, done, From chamac; violence; by implication, wrong; by meton. Unjust gain — cruel(-ty), damage, false, injustice, X oppressor, unrighteous, violence (against, done), violent (dealing), wrong. The above helps to better understand and comprehend violence is not just a violent act of brutal fighting or injury. Violence can also be a brutal ACT of jealously, evil, sin, fraud, robbery, injustice, wrong, cruelty, hatred or oppression. This means slavery was an act of violence, as racism is an act of violence. Also fraud, deceit and robbery are also acts of violence. I also think anyone who denies a father or mother to see his or her child WITHOUT any charge of crime or judicial court ruling is an act of evil and violence. We can safely conclude evil and violence definitely come’s in many forms, shapes and sizes. If like me, some of your most painful and hurtful experiences have not been when you were stabbed or in a fist fight, but when you were robbed, defrauded or denied your right by other humans of evil, racism and deceit. This is the pain that never goes away because what they took from you were your life savings, child, freedom, identity or DNA. For example when you call anyone black or white that is not only racism you are immediately stating or suggesting one is superior and one inferior. Like Trump when he uses the word ”US” who is he really talking about? He is trying to be clever and hide his meaning so as to not appear racist? The ‘Make America Great Again’ as it now involve’s the public support of Kanye West and other evangelical religious and denominational believers of various colours and backgrounds this may hide some racism, yet exposes ignorance. The truth is Trump could NEVER get a true Kingdom believer to vote or follow him of any genocide, racist, evil plan or thought. The Kingdom of God, YHWH still suffers violence and racism, with fake jews, regime change, the demise of Christian Kingdom values across countries of world and the decline of free speech, non-violent #takeaknee protests or bliblical practices is as common today as in the Book of Genesis or Exodus. The above video is of true Kingdom of God, YHWH living and sacrificial experiences of living in a world of people, thoughts, beliefs and actions. Even in pews there can be violence, prejudice, racism and evil yet the violent righteous like David, Abraham and Moses will always protect and take the Kingdom of God by force, because if one or we Kingdom believers do not do so, evil will destroy. The conclusion is every true KIngdom believer MUST be violent in his or her determination to ENTER into the Kingdom of God, Heaven, YHWH within and around. Which often means battling against evil, sin, self, racism, hatred and suppression in a non-violent but determined, dominion way, unless your life is in direct danger like the massacre and Church shooting of Charleston, South Carolina or modern slavery of Libya, Africa, India, Venezuela, China and many other countries of world. How to be Blessed, is taken from the entire Holy Bible beginning with Genesis to Revelation. Most people believe when they get baptized or accept Jesus or Yahuwah into their hearts, minds and lives, they are automatically blessed. Sure this is a blessing but unless one keeps EVERYTHING else of statutes, laws and commands of YHWH MOST HIGH, one will never stay blessed. Throughout the last week, I have spent every second of TIME…watching and directing my thoughts with praise to Creator YHWH, most High. When I wake I pray, praise, and talk with YHWH. If I drive, I talk with YHWH, until I reach home to rest in silence & solitude within. I now realize all I have is NOW, not the past or tomorrow, I can only control the now. So I am using every second of my NOW to demonstrate to Creator Most High, I am serious about aligning myself with Heaven to Earth, through His Holy Spirit, Word and power, daily. What I need is to be BLESSED not just blessings of life, through his Holy Spirit, fruits of the Spirit etc. I want to be blessed..like Jabez prayed to be blessed, so I/you become blessed like Jabez, JOB or Abraham, and it can never be reversed. This is the ultimate eternal gift of the now and future. To encounter, reach or experience the above is painful, lonely, a gazingstock, peculiar, fearful, even shameful in the midst of people, family, friends or world, but NOT to the Creator YHWH Most High. To Creator, it is wisdom, knowledge and intelligence. Your test of JOB has arrived, and you have gone from rich to homeless and still you can pray, write, read, learn and praise HIS Holy name. Truth is, I KNOW YHWH MOST HIGH has to reward me of His promises, double to one-hundred-fold, I know it is coming. Yes, it has taken years into a decade, where family, friends and people have given-up on you ever being rewarded or restored. But…the RACE IS NOT FOR THE SWIFT, BUT THEY THAT ENDURE TILL THE END. I am praying for HIS appointed time of now. I apologize, to people, friends, family even church-folks who had to watch me ENDURE, when I thought I had retired. But, I have learned your race will never end until Creator YHWH, takes you home to Heaven and Eternity. The fact I foolishly thought I had retired, was a slap in the face of Creator YHWH, who gave me something most people never see in their lifetime – cash. Now a decade later, my treasures are ALL stored in His Kingdom of Heaven, and my within is aligned and being more aligned daily of His Spirit, to my spirit of Romans 8:16. I am now chasing after being BLESSED more than periodic blessings. I need to be blessed so that my sleeping and waking to my NOW is automatic of Deuteronomy Chapter 28:1-15. I am not going to kid you…I KNOW what it is like to feel like the flames of Heaven has burned ‘everything‘ you own. The land, even with a 1.2 Million USD judgement got overturned, houses even though you paid annual taxes for years overturned. You got zero even though the FBI got involved with YOU as a victim, they got paid and offered you damages. Then your watching people, friends and family think…is he or she CURSED like the curses of Deuteronomy Chapter 28. Its a long road…but to WAIT on Creator YHWH is real. To wait is faith, trust, love, obedience and meekness. This is not for the carnal mind, world or swift. To WAIT is to wait or be still when most people are acting busy, in a rush or hustle. It’s actually been a blessing…for me to work or operate from home most of my working life on Earth. So I have been able to do allot of sitting, resting, thinking and sleeping through my many decades of trials, tribulations, afflictions and sufferings as described in Psalms 34:19. Don’t judge me…I did NOT predestined or write the script. I told Creator YHWH in the week, I did NOT predestinate or write my life, YOU DID. In fact, everything I have believed or pursued has been told…or shown to me from Spirit to spirit. I have always written the vision, made it plain, birthed, prayed and received of Heaven to Earth. Right now I am awaiting my vision YHWH has promised to me, and it is better than the beginning which was years of happiness, fruit, peace, love and prosperity. So I am waiting with expectation, faith, and daily action. Notice the Spirit of YHWH has to ‘hover‘ over the the face of waters and everything, before anything is created or blessed. This is because the Holy Spirit of Creator YHWH is cleansing, washing, fertilizing, anointing, making sure anything evil or sin is eradicated. So to be blessed one has to ask, pray and receive the Holy Spirit hovering over, within and through you. Abba Father, I come to you to pray and ask that your Holy Spirit hover…over, within and through me all the days of my eternal life. Amen. When I read the words above, I started dancing and praying for the Holy Spirit to ‘hover‘ over and through me. NOT because I don’t or have never had encounters with the Holy Spirit, this entire website is proof I have daily, but I now need TOTAL cleansing as found in the Book of Genesis, so Creator YHWH himself like Moses and the burning bush, can come and Bless Me like Jabez. I realize this may be unreal, bold, foolish or other to some people but to be BLESSED takes peculiar to supernatural in mind, thought, faith and action. Would you literally walk on water? Would you go into the lions den and kneel and praise your Creator? You may think these are stories but your day will come, if you are called or chosen of YHWH, you will walk the line of sanity-insanity and either you live or wish you were dead, within and around. Also in Genesis Chapter 1 we read and see even the Sea-monsters and every living creature was blessed to be fruitful and multiply. And YHWH God blessed them, saying: ‘Be fruitful, and multiply, and fill the waters in the seas, and let fowl multiply in the earth. – Genesis 1: 22. Creator YHWH himself already blessed THEM like all things HE created before the fall, to be fruitful and multiply where? Upon the Earth. This is Heaven to Earth blessed and blessings NOT world on Earth. Big difference, and a fatal error or mistake most people including those of religions and denominations are making, when they look to world for their income, fame, wealth and prosperity of things or self, not Creator or His Kingdom. You see the heart of Creation, dominion, prosperity, righteousness and eternity is the Kingdom of YHWH. And that Kingdom is within us all. It was created and installed within us all at birth..or even before we were born from 1 out of 250 million sperm cells. There is NOTHING accidental or a mistake with Creator YHWH Most High. Everything HE creates or thinks is custom ordered of perfection. Even evil is designed for the purpose of preventing evil or sinful people from ever experiencing perfection. This is why we ALL must be tested, tried in fire to come forth as pure gold, sin or dross. This is all in now of living, world, life or death. There are many people living on Earth they are as dead as death. Each day they are going through the process, even rich like Kanye West but they clearly serve world or things of world, like weed, cigars, alcohol and self, until they die not sleep like the Children of YHWH. This is why the Kingdom of YHWH was designed in the now, from birth to be a place, home to the Children of YHWH. Notice it is not world for world, it is strictly for the Children of YHWH Most High. Before we go any further READ what the Bible says about His Kingdom. Above, King David the Psalmist knew all about the Kingdom of YHWH. Above, those who ignore, reject the existence of Creator YHWH and His laws, statutes and Kingdom within will inherit the second death. So first death is when one dies, second death is when you face Creator YHWH and fail to qualify for His Kingdom or eternal life. Believe, pray, act and know one is already blessed, to multiply and replenish the Earth, a gift only for the Children of YHWH from birth. As Creator YHWH rested, we also MUST rest on His Holy sabbath day as a perpetual sign, we are standing and operating in His covenant. The just has to walk by faith and NOT by sight daily within. The just also has to seek 1st the Kingdom of YHWH and all other things shall be added. The just must love NOT the world neither the things of this world. Live and know Yahuwah is Lord, Shepherd I shall NOT want. Read, study and know Creator YHWH has predestined all things. Read, study and know Creator YHWH has given us His Holy Comforter. Read, study and know Creator YHWH has a plan of prosperity for us all who trust and believe. But we must claim it with our mouth. We must all enter in at the strait gate which is within. This is knowledge our parents due to religion and denominations did not embrace, teach and experience through no fault of their own, as they lived what their parents handed or did not hand down. People and Kings of the Earth, is anyone who lives according to the Earth as world and things of the world. Even people who attend religions and denominations weekly can still act, depend and love things more world, than of Heaven or Kingdom of YHWH within. The kings of the Earth come in different cultures, traditions, languages, beliefs and lifestyles. Hip Hop, Rock, Pop or Gospel can be created and controlled by kings of the Earth or world. What most people do not comprehend or know is, we are all kings and queens [within] of eternal Heaven or Hell. Monitor yourself daily to see how you match up to 1 John 2:15-17 , Romans 1: 28 or the entire Book of Psalms. Kings of the Earth are also found in politics and every science, business or education of world. They are the ones who ‘create‘ religions, social science and now web, robots and artificial intelligence to largely deceive, divide, control and conquer humans of world. Why would anyone on planet Earth want to create anything that replaces, controls or replicates a human? Why would one desire to change anything created or commanded of YHWH Most High? Did YHWH not create, make and place male and female on Earth in the Garden of Eden which is spiritually, historically and scientifically proven? Watch this video below. The kings of the Earth and world are always devising ways to alter universal, spiritual and biblical TRUTH. Ask yourself this fundamental question: Who provides us all with day, night, seasons, stars and moon daily? This is never controlled by human or world. If evolution is continually evolving this means light, night and or seasons would also be continually evolving. I am not here to discuss or debate evolution or various beliefs of the gods or evils of kings of Earth which include slavery, racism, fake white and black people or labels. Kings of the Earth and world like to create, depict and paint everything white like white fear. It is insane, inhumane and racist to think, paint or classify all people black, white or ethnic, when not one person can match a black or white piece of paper or paint 100%. Even Donald Trump is more pink than white and people of France, England, Brazil, Cuba, Africa or the Caribbean demonstrate a beautiful ray of different shades and colours. You maybe thinking what has this got to do with the kings of the Earth? Understand, the kings of the Earth are people who aim to control world and Earth. Largely through fake history, religion, racism, politics, robotics, sciences and discoveries. What Creator YHWH from beginning to end is teaching mankind is, there is only one Creator of Heaven and Earth. This is why monotheism not polytheism is the only road to wisdom, knowledge and understanding of Creator YHWH, Yah, Yahuwah Most High. Earth is also the footstool of Creator YHWH Most High. This too is biblical fact and irreversible, so one should be careful what beliefs, traditions, lifestyles, music, fashion, habits and religion one chooses, in line with what the prophets of YHWH has written or commanded. You may read or claim the Christ is Jesus, but how can this be, with no J in Hebrew? Does it matter? Indeed 100%, how can one identify or understand HIS TRUTH, if you do not identify or understand His name, deception, error or fake jews of Israel created in 1948? Or the vatican funded global invasions to control, divide and conquer all history and religions of world. You will never unravel truth, peace or love without His Holy Word, prophets or Holy Spirit. The kings of the Earth care most about sun and or world. They desire flesh more than spiritual, and carnal more than righteous. They are of the now, rarely the future unless it involves control, divide and conquer of a specific class or people. Many of the youth or teens today are so controlled, divided by drugs, alcohol, music, fashion, technology and gadgets, they think MICROWAVE of most things life and world. They want it NOW forget the future. Most live for TODAY rarely tomorrow. Drugs, gangs, violence, unemployment and declining opportunities online or offline force teens, youth and adults of all ages to think more now than tomorrow. There is much to ponder, listen and research concerning all things Heaven, Earth and world. Like Gestalt, what you think you know or see may not be unless of Heaven to Earth. Are you appointed of YHWH GOD? If yes, what is your divine, spiritual and Kingdom appointment? It is life-changing, when one sits and ponders or discovers one could actually be called, chosen and ‘appointed’ of Creator YHWH GOD as Jeremiah, before HE formed you in the womb. This leads one to think very differently to how people of world think, live and believe on a daily basis. Most people are born, then they are taught and formed in their thinking by their parents, relatives, religion, denomination, choice of education, hobbies, lifestyles etc. Few people are ever viewed or perceived to be called, chosen and appointed of Creator YHWH in the world. How many times have you heard a parent or parents declare their son or daughter has been chosen, called and appointed of Creator YHWH to do this or that? I was riveted to the words: ‘‘I HAVE APPOINTED THEE” and although I have heard many, many sermons over decades from kindergarten to adulthood on the above verse, I started to ponder when Creator YHWH appoints anyone they MUST do what HE has called them to do only. When one also reads the life of Jonah, he was also called, chosen and appointed of Creator YHWH. And even though Jonah thought he could flee his calling, appointment or divine mission I cannot help but smile with laughter as Jonah gets thrown into the sea, then a whale sent of Creator YHWH taxi’s Jonah to shore, then Jonah prays in the whales belly and Creator YHWH has the whale vomit Jonah to land. How amazing is Creator YHWH from Heaven to Earth? Omnipotent and Omnipresent with no human escape daily. What is also remarkable, is when YHWH calls or appoints anyone to HIS divine Kingdom mission or assignment, one cannot detour or escape. Jonah is proof of that and the Prophet Jeremiah also experienced anger and anger management when Creator YHWH told him one thing, then forgave the sins of the people he planned to destroy. The overall point here is, Creator YHWH is firmly in control of everything and everyone created for good, evil, eternal life or death. Not everyone reading the above will agree, but we all have open free choice and options. One can always choose to ignore, run, hide, escape or reject, but when Creator YHWH gets hold you HE will turn your life and world upside down until you bow, submit, serve or completely reject. When YHWH told Nebuchadnezzar ”Let My People Go” this was something Nebuchadnezzar did not want to do. As a worldly king of Babylonia he considered himself rich, powerful, educated and ruler of most things. Nebuchadnezzar was a very evil and wicked man, who sentenced his own son to prison for life for Babylonia power. But when Creator YHWH decided it is the appointed time to deal with Nebuchadnezzar, HE sent warnings, plagues, turmoil, miracles and even death until Nebuchadnezzar and his army was destroyed. Are You Appointed of YHWH GOD? I would encourage the world of people of all ages to sit, relax, ponder and consider the above question, also what is my Kingdom mission, assignment or calling? In most cases this will demand time in prayer, meditation, solitude and silence, where one waits patiently for Creator YHWH to speak through His Holy Spirit into your mind, soul and spirit. One who earnestly seeks Spirit to spirit will eventually HEAR what the Holy Spirit is commanding, asking or calling. Creator YHWH is so deep, high, wide and tall, He often blows the fuse of human intelligence. I actually feel ashamed, red-faced and embarrassed for taking so long in my life to STOP, turn around and do [only] the WILL or calling of Creator YHWH daily. Dont’t get it twisted, I should NOT have wasted so much time in religions & denominations. I shoud have been CyberRev from childhood to adulthood but I needed training, experience and conversion. 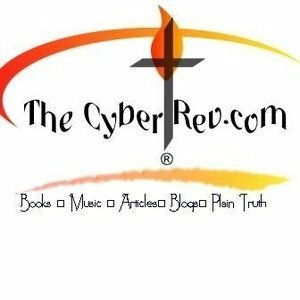 CyberRev has been online over a decade and although I have been attending Church within and around from kindergarten to adulthood, I STILL check-in daily with Creator YHWH as I have lived or been a Jonah, Jeremiah, David and JOB. Whatever the mission, assignment or calling there is a cross to carry and heavy price to PAY. The world will hate and attack your mission, calling and assignment, your comfort zone will become uncomfortable zone, but this is how Creator YHWH prepares His Children for Kingdom glory and reward. You may also have to sacrifice, sell or lose all to gain with Creator YHWH Most High. This is the test of your testimony. Never forget FAITH is always unseen and hoped for within, as substance. What you desire, pray, hear, believe or see, most people cannot see or believe. What you sacrifice, sell or lose others may not be able to walk, sell or lose. The TIME is fast approaching, when the TIME OF TROUBLE of this world will test each and every person alive for what they believe or disbelieve of Creator YHWH Most High. Are you for or against His comamndments, statutes, laws, promises and prophets of His Holy Word. Will you accept or take the mark of the beast or live a lifestyle of stripper, drugs, gay or evil? Remember all is eternal Heaven or hell. I only warn I do not judge anyone.